A man with a 7th grade education leaves behind his autobiography to one person whom he knew would cherish it. Mr. Ronald Burke inherited his father’s unpublished autobiographical sketch about his Dad growing up in Alexandria. Mr. Robert W. Burke’s life story was based on his experiences in Alexandria, Virginia from 1900 – 1926, before he migrated to New York. His story is full of love for family, teachers, church, and community during segregation in Alexandria. This short abstract is a partial story of his autobiography about his life as an African American in Alexandria that spanned the first 26 years of the 20th-century. Mr. Robert W. Burke was born May 30, 1898, to Robert and Lillian Webster Burke at 120 North West Street in Alexandria, Virginia. During the course of his childhood, his family lived at 1218 Princess Street, 324 North Payne Street; for a period-of-time, they lived outside the City of Alexandria, what is now Russell Road, and then they lived at 1310 Queen Street. Robert started school when he was seven years old. 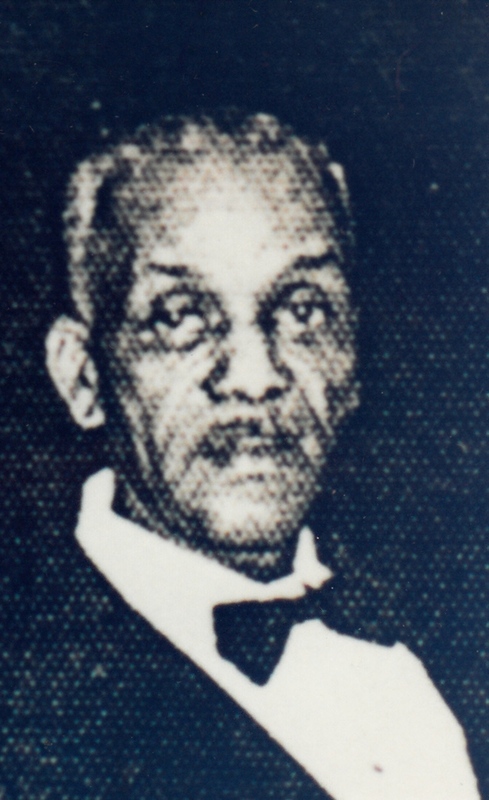 He attended Snowden School for Boys on South Pitt Street, which was 3 miles from where he lived outside of the City. His cousin, Edith Curry came to live with his family for many years. His cousin and his sister attended Hallowell School for Girls, which was located on North Alfred Street, between Oronoco and Princess Streets. Robert attended Snowden School until the 7th Grade. The school at that time only went to the 7th grade. When he attended school, the teachers were Richard Diggs, Patrick Lumpkins, Henry White, Rozier Lyles, and John F. Parker. Mr. Burke said he had fine teachers. He was at Snowden School at the time when Mr. John F. Parker was principal, and at the time when Mr. Parker’s health was failing. After he completed the seventh grade, he sought employment to work outdoors. Throughout his childhood, he suffered bad health. He thought working outdoors would improve his health. As a child, he worked at different places and on Saturdays, he worked at the barbershop and also carried ice. During summer vacation, he worked for the Fruit Growers Express. After completing the 7th grade, he worked for a grocery company, the Quartermaster Department during War I, and then he went back to the Fruit Growers’ Express. When he left the Fruit Growers’ Express, he worked for the Banner Laundry located on Oronoco Street as a washer. In 1918, he married Edith Russell and they had six children, Robert W. Burke, Jr., Lillian, Russell, Wendall, Roscoe, and Ronald. In 1926, Robert left Alexandria, Virginia and moved his family to New York. He found a job with the Central Branch Y.W.C.A. He retired from that job as the Head Carpenter in 1965. His youngest child, Ronald was born in New York. During the summer, Robert and Edith sent Ronald to Alexandria to spend his summers with their families. The Burkes and Websters’ families were in Alexandria, Virginia decades before the civil War as freed people of color. To this day, Mr. Ronald Burke has fond memories of his time he spent in Alexandria. Just like his Dad, he is keeping those memories alive for other generations to come. Mr. Robert W. Burke died in Manning, South Carolina on June 19, 1980. Mr. Ronald Burke is the only surviving child of Mr. Robert W. Burke. I give thanks to him for providing me a copy of his father’s unpublished autobiography. This entry was posted in Black People of Alexandria and tagged 1898 - 1980, Alexandria Autobiography, Alexandria Memories, Robert W. Burke. Bookmark the permalink.